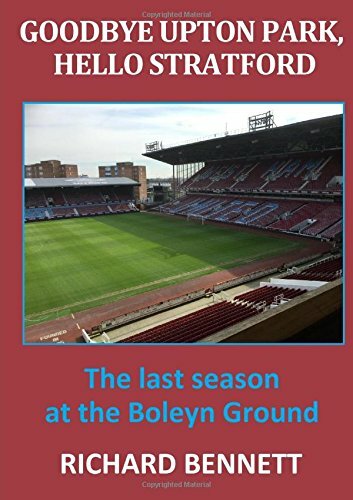 An unwelcome dream predicts a third consecutive defeat in West Ham’s first London derby of the season against Arsenal. Can Manuel Pellegrini and his Hammers finally blow some bubbles or will our hopes once again simply fade and die? It is very rare for me to dream about a football match but that is exactly what happened last night. Set in the present day but in the kitchen of my childhood home, I was attempting to multi-task by checking the score of our game against Arsenal while, at the same time, booking a cab to Heathrow Airport. For an unexplained and irrelevant reason, the taxi dispatcher needed to come to our house before he could arrange for a cab. Not only was this most crap ride hailing service ever, but the only other app available on my phone happened to be Viewdata. Try as I might, I was unable to reach the right page for the score when suddenly my brother, who had been watching the game live on TV in the sitting room (or front room as we knew it back then), poked his head around the door to tell me that we had lost 3-1. Apparently, the Gunners raced into a commanding 3-0 lead, assisted by the award of two penalties, with West Ham scoring a consolation late on. What is doubly annoying is that I have never liked people telling me the score of our games before I have had the chance to find it myself. If there is a recurring theme to my dreams it is one of frustration where I am in a hurry but unable to perform even the most simple task, such as tying shoe laces or pulling something from my pocket. I am assuming that this is a normal dream scenario for any long-time West Ham supporter. Like anyone else who has had a premonition of impending disaster, the question I ask myself is “how can I use this information?” The first thought being “can I make any money out of it?” while the second is “can I do anything to prevent it?” With the former, the odds of a 3-1 Arsenal win are a mere 11–1 but maybe I can double it up with a two penalties bet. For the latter, I have attempted to send a subliminal message to Manuel Pellegrini to “play three at the back” but don’t hold out much hope that he is open to changing the habit of a lifetime. Perhaps the root cause of the dream was that I had been reminiscing earlier in the day about the style of play that John Lyall had employed during the famous 1985/86 season. What today would be described by Sky commentators as “delicious movement” based around the tactics of third man running, defence splitting passes and setting up chances for Frankie and Tony. A stark contrast with today’s flat footed heroes who appear reluctant to move until the ball is delivered to their feet and then either get tangled up in pointless three man clusters or run into dead-ends. But even those Boys of 86 only managed to collect one point out of six against the Gunners. Anyway, tomorrow is another day where we can once again hope that the new look West Ham finally bursts into life. The first relegation six-pointer of the season in this Under New Management derby at The Emirates Stadium. I watched a bit of Arsenal’s game at Chelsea last weekend and, although they are clearly still adapting to Emery’s tactical way of thinking, they weren’t at all bad – especially going forward where but for wayward finishing might have doubled their goal tally. The Hammers, on the other hand, have yet to show any new shoots of the Pelligrini revolution. There are certain to be changes in the West Ham lineup this week and my guess is that Pellegrini will be back to a 4-2-3-1 formation. It would be no surprise to see Issa Diop making his league debut and Aaron Cresswell coming in for Arthur Masuaku. With Mark Noble reported to have picked up a mystery back injury, there could well be a new look to central midfield, with first starts of the season for Pedro Obiang and Carlos Sanchez. Whether that will serve to create greater defensive stability remains to be seen. Jack Wilshere will want to shine against his former club; surely Andriy Yarmolenko is finally a starter this week; and time for Felipe Anderson to repay an initial instalment on his huge transfer fee. Arnie will once again plough a lone furrow up front allowing Chicharito to reclaim his rightful position on the bench. It is often said that a good manager should be able to accommodate a proven goal-scorer like Hernandez in their plans. It still looks to be a challenge to me, however, in the hurly burly of modern Premier League football to find a place for a player who contributes little to overall team play. A vast improvement in tactics, energy levels, concentration, intensity and tempo is needed if West Ham are to prevent Arsenal recording their first post Wenger victory. This week’s referee is Graham Scott from Oxfordshire – an appointment, I have read, that won’t please Gunner’s fans after he left Arsene Wenger fuming with his performance in an away game at Leicester last term. By contrast West Ham won all three games where he officiated last season. I am hoping that my revelation of the 3-1 scoreline and the two penalties does not unduly influence him. As for the pundits, Paul Merson is opting for 3-0 to the Arsenal while Lawro sees a more conservative 2-0 (Lawro’s guest this week, Idris Elba, suggests a 6-0 hammering). I would love to think my dream was just a dream that will fade and die, but it is difficult to see beyond a third consecutive defeat. Yet we live in hope!